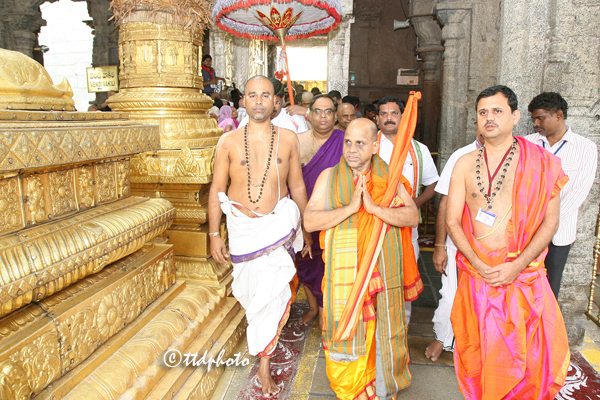 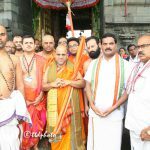 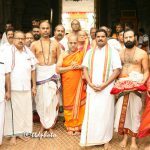 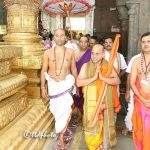 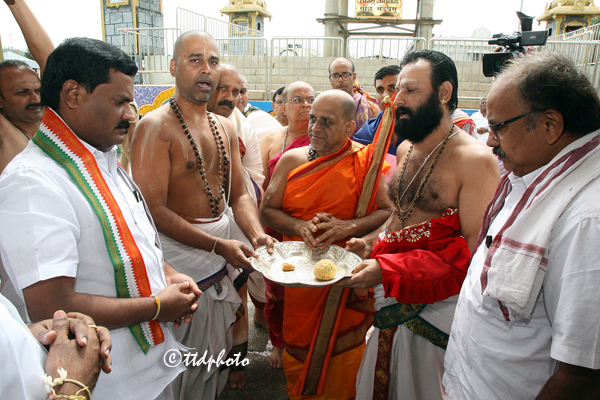 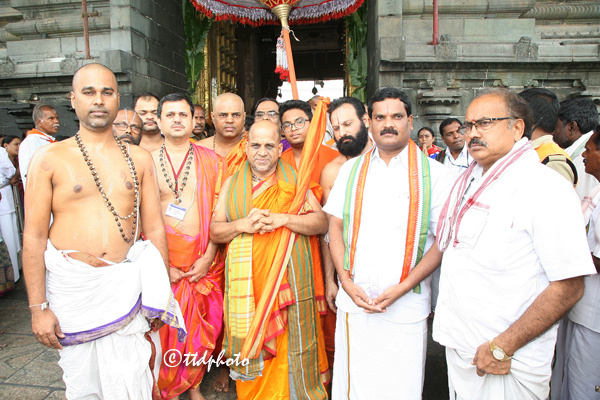 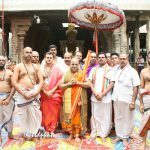 Tirumala, 5 August 2018: HH Sri Sri Sri Sugunendra Theertha Swamy Pontiff of Puttige Mutt visited Sri Vari Temple, Tirumala on Sunday morning. 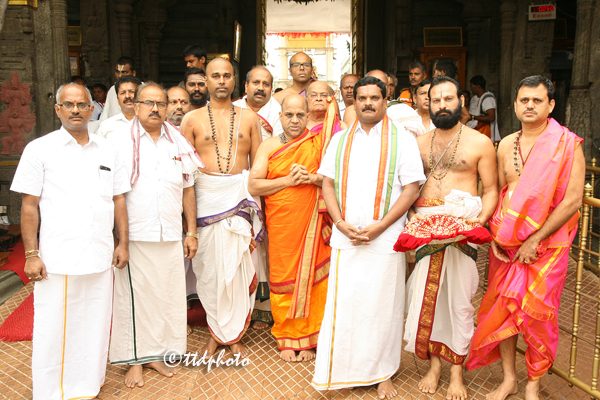 On their arrival at infront of Sri Vari Temple, Temple DyEO Sri Haridranath and Temple Priests welcomed him with Temple Honors and led him to Sanctum Santorium. 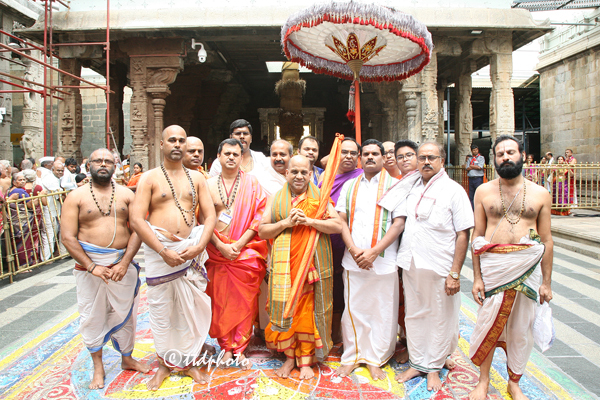 Temple Peishkar Sri Ramesh, Bokkasam Clerk Sri Gururaja Rao, Parpatheyadar Sri Ramachandra and others were present.